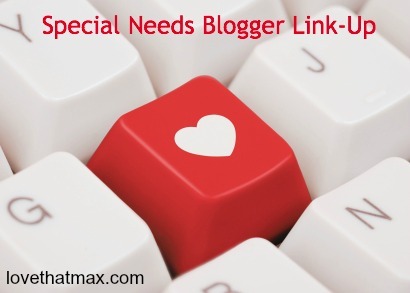 Love That Max : The Special Needs Blogger Weekend Link-up: What's your share? Thanks again, Ellen. Dexter's at #5 this week. We've posted about his hip surgery - scheduled for October. Thanks for the link-up. I've been lax about posting this summer, despite having a lot to share. I did -have- to blog about my sensory kiddo getting his feet wet, literally, and that is the post I linked up to. Thanks for the link up I've been doing some editing to my blogs after moving hosts and it could use a little love. Thanks for doing this Ellen! I love these link ups! Posted about a blog hop I was tagged in. I'd love to tag you too! Please contact me for details. Im so glad i found this blog, its awesome! Thanks for the initiative, I am in the throws of starting my blog about how to live with Cerebral Palsy, and this is a great inspiration! Love your blog and your link up- thanks!